We are inviting all those who have experienced a CS Local Academy, either as a delegate, facilitator, speaker, sponsor, dragon or in any other way, to meet fellow participants to reflect on and celebrate our success. 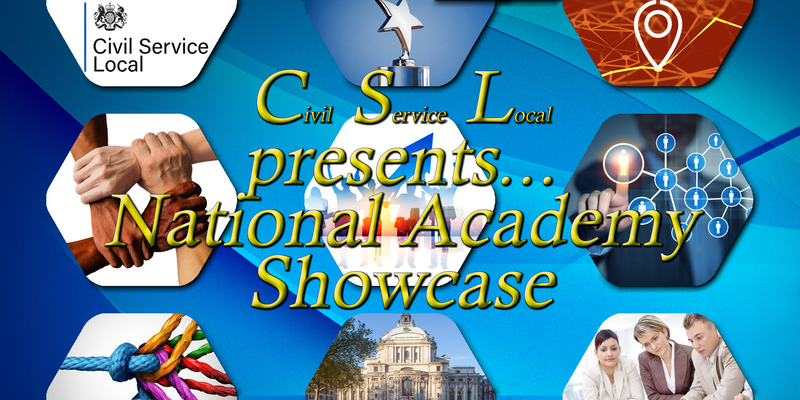 We are pleased to report that a number of senior Civil Service leaders have confirmed their attendance. 27 March at Central Hall, Westminster between 10:30 am and 4:30 pm. This event promises to provide insight into the wider national academy picture and share experience, knowledge and promote your own successes amongst colleagues and our senior sponsors. In true academy style, the agenda will also feature a range of personal and project success stories, a variety of senior guest speakers and an opportunity to 'ask the panel' on careers, skills and capability. We are committed to ensuring that wherever possible our events are accessible to all participants. If you have any requirements that would help you access our services, please let us know and we will endeavour to make any reasonable changes. Please let us know if we are doing something that would discourage you from using our services. Such a shame we weren’t made aware of this earlier. I was only made aware of this 4 days ago and it is too short notice to be able to be released from work, do to pre-booked commitments and unable to arrange cover. Some of us work in departments that require several weeks notioce in order to be released without impacting on customers. I would have loved the opportunity to catch up with my Academy family, coaches, facilitators and fellow delegates and to also form new networks.